"At every juryman's vote, there was a roar. Another and another. Roar and roar. Unanimously voted…. an enemy of the Republic, a notorious oppressor of the People. Death within four-and-twenty hours!" The latest enemies of the republic to be served-up to the roaring masses are actors Lori Loughlin and Felicity Huffman. We are told that these two greased the skids of college admissions a bit too generously. But don't you worry. Our intrepid and heavily armed federal authorities are on the case. Don't you feel safer knowing Thelma and Louise are no longer on the street? Over at Fox News they published a piece on Loughlin and Huffman that caught my eye. It suggests a "behavioral disorder" might be responsible for their foul deeds. In it, Psychotherapist Robi Ludwig says: "Lori Loughlin's friends describe her as very image-conscious and an extremely ambitious parent who enjoyed talking about her children's successes and strengths. These friends also said it was important for Loughlin to present herself as a well-rounded woman who 'had it all' and 'had it all together.'" Really? This describes many of the people and parents I know. I would describe them as anxious and gripped by a phenomenon long known as keeping up with the Joneses. It's just that the Joneses they are trying to keep up with live in Beverly Hills. But from these slender indications, Ludwig sees something much more sinister. She speculates that the actress and the many others caught up in this scandal may have a "type of pathological narcissism" that is "triggered by celebrity, wealth, and fame." In the age of selfies, I don't think self-obsession is limited to celebrities. We are a narcissistic culture. 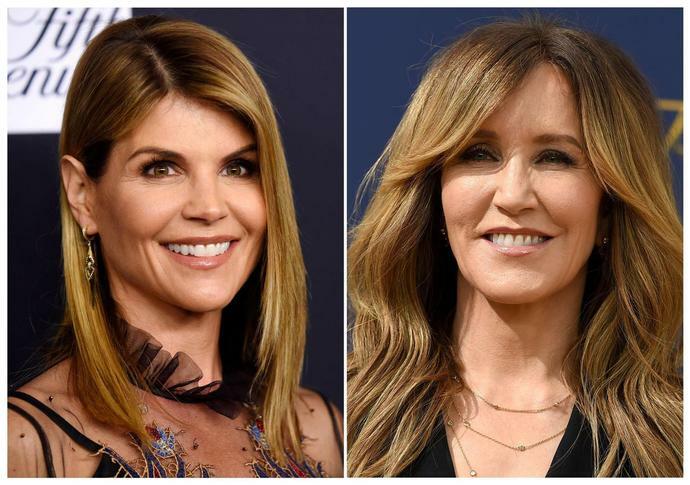 Jennifer Kay Toy, a California mother, has taken aim at these actors and other elites, leveling a $500 billion class action lawsuit. That's $1 million for every dollar Loughlin paid to get her daughters into USC. Rita Wilson, wife of star Tom Hanks, called the scandal "disturbing." Last week, USA Today gave a nice summary of what these women are alleged - an important word being left out of these discussions - to have done. Read the allegations and see if they rise to the level of "disturbing." My point isn't that these people are innocent. I have no idea. Due process of law has not yet run its course. Nor am I saying there shouldn't be consequences if they are found guilty. Rather, my point is that they could scarcely be treated worse if they were serial killers. Mental illnesses aside, self-righteousness is certainly part of the human condition. To see the misery of others, to bring them down - especially the rich, beautiful, or popular - is to feel better about ourselves. I am reminded of Russian proverb: "The tallest blade of grass is the first to be cut by the scythe."